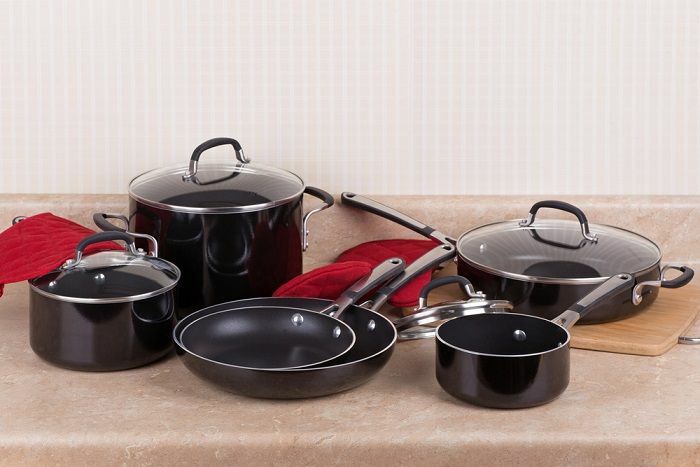 This 12 piece hard anodized nonstick saucepan set is part of Kitchen Aid’s “Gourmet Essentials” range. 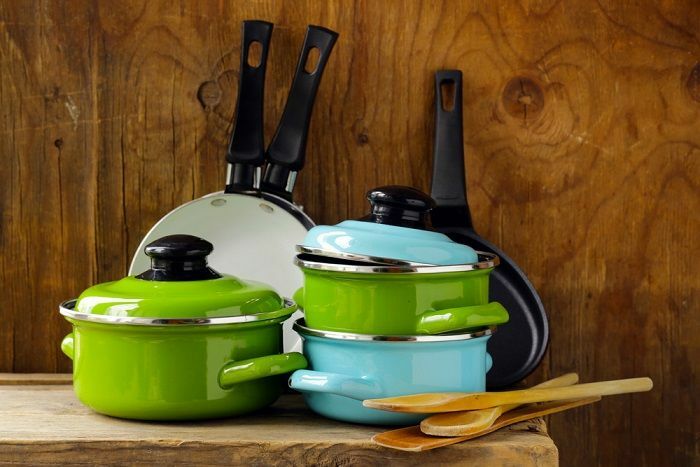 The pans are made from heavy-gauge hard anodized aluminum with a nonstick coating on the inside of the pans. The handles are made from stainless steel and have a silicone wrapping around them, so that they are cool to touch. 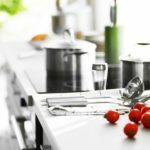 The lids are made from tough tempered glass, which is break resistant, so that you can watch the food cooking. In summary you get seven pans and five lids, twelve pieces in total. In my opinion this set is better value than the 10 piece Rachael Ray hard anodized cookware set. It’s only about $30 more expensive, and you not only get an extra covered saucepan, but the stockpot is bigger (8 quart as opposed to the 6 quart in the Rachael Ray set). 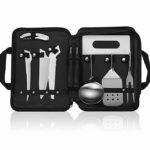 If you have a big family and do a lot of stockpot cooking, then go for this set. 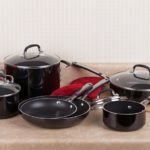 The pans and lids are safe in the oven up to 400 F but note that you need to hand wash them to preserve the nonstick interiors. This is not as daunting as it sounds if you make sure you soak the pans in warm soapy water before washing and use a gentle sponge, don’t use anything abrasive when cleaning. I also advise you cook with wooden spoons to avoid scratching the nonstick coating on the inside of the pans. This set comes with a 1 year warranty which KitchenAid says is “no-hassle”, which means they don’t argue with you when you have a problem.